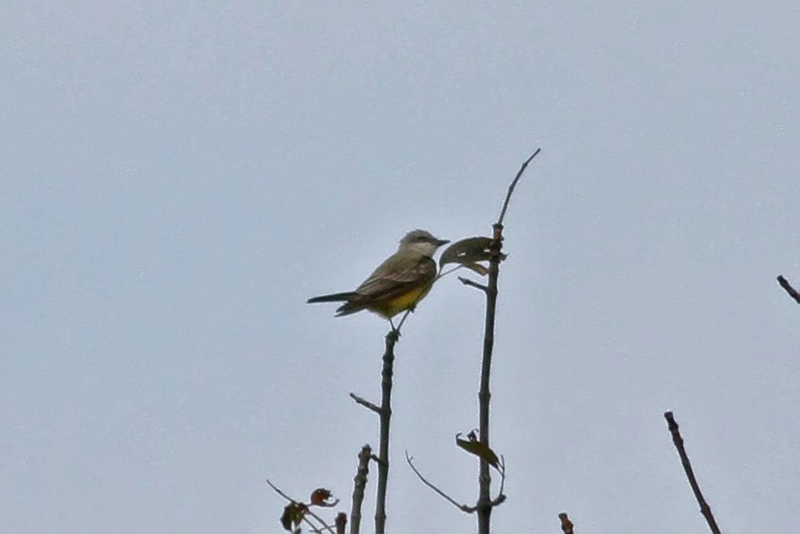 The highlight of a really birdy morning at Lighthouse Point in New Haven, CT was a brief visit by a bright Western Kingbird. 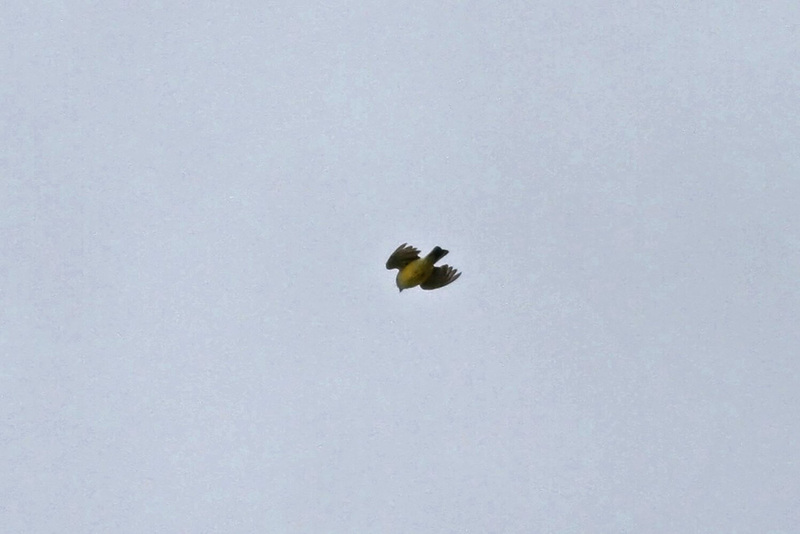 During the peak of the raptor flight I spotted a yellow-bellied kingbird flying away to the north. Few folks got on it and views were poor. We thought that we would have to leave it at "Western-like Kingbird sp," but I picked up on the bird again a few minutes later, this time on its way back into the park. After a few circles, it finally landed, teeing up on a distant treetop and allowing for specific identification. 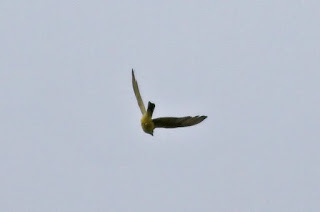 I ran for record shots and the hawkwatchers enjoyed scope views before the kingbird disappeared. 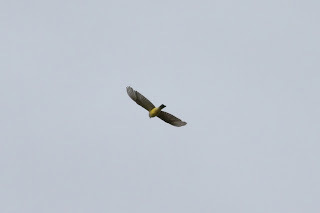 It was last seen flying hard to the north out of the park. Otherwise, we had a really nice hawk flight today until it shut down around 2-2:30pm. Notable was a new park record 29 Bald Eagles (unless others moved through after I left at 3pm! ).